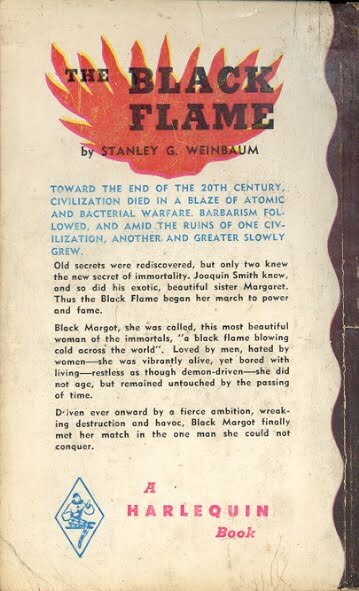 These aren't Canadian or paperbacks but something much more uncommon - faux paperbacks. In 1965 Candar Publishing Company of Sparta, Illinois published six Man's Daring magazines with a "special book bonus" using covers from paperbacks that don't exist to promote the stories. 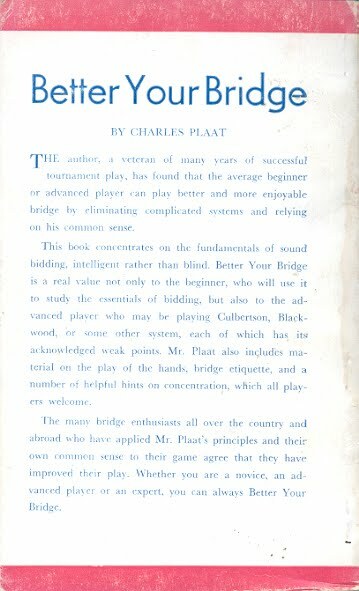 The "condensed books" are 3 or 4 pages long. 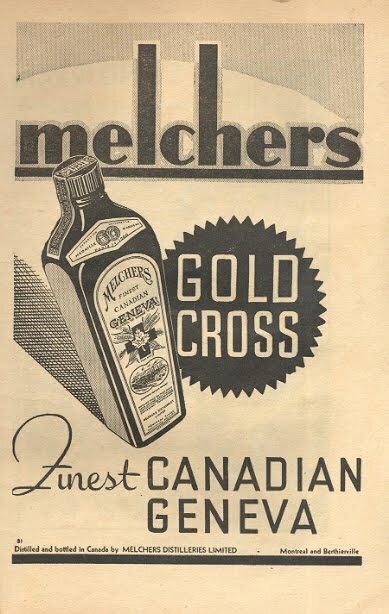 In 1932 Western Canada Flour Mills Co. Limited published The Purity Cook-Book, replacing The New Purity Flour Cook Book of 1923. 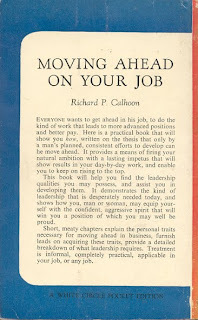 A revised edition followed in 1937 and a second revised in 1945. 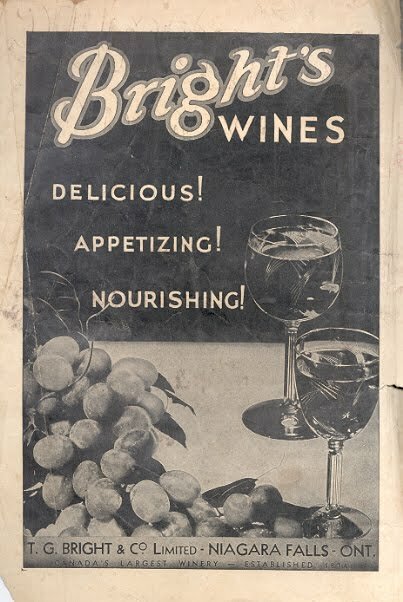 The publisher was a renamed Purity Flour Mills Limited. 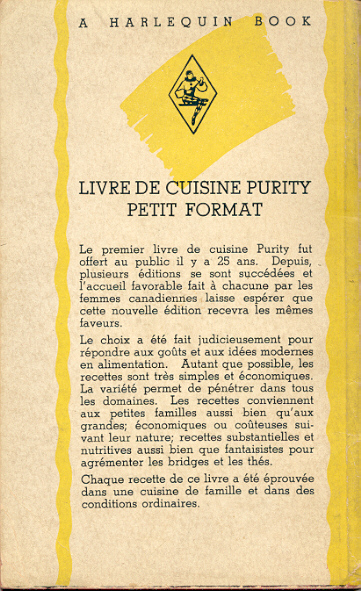 The second revised edition was translated by Rose C. Lacroix and published in 1945 as Livre de cuisine Purity. 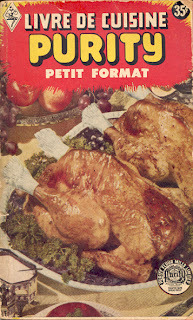 In 1950 Harlequin Books published their versions of the 1945 editions, the English version renamed The Pocket Purity Cook Book. 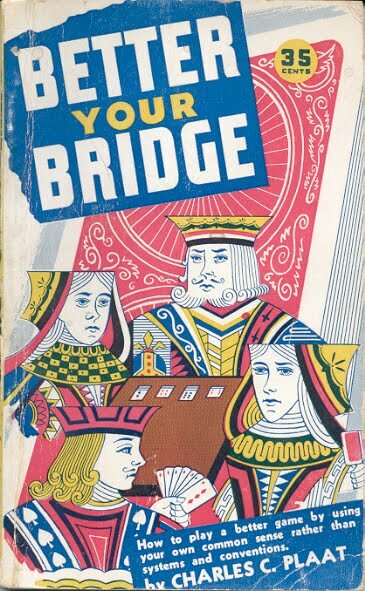 The Harlequin English edition is uncommon in nice condition but can be bought for a little as $8. The French version is another matter. While there are eight copies of the Purity Flour 1945 French edition for sale, no copies of the Harlequin are available on line and it is generally recognised as the rarest Harlequin. With the first French edition only five years old one can imagine little demand for Harlequin's only book in French. 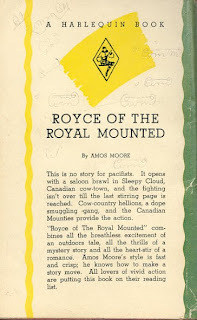 Hugh Garner was a Canadian author who had three paperback originals published in the late 1940s and early 1950s. 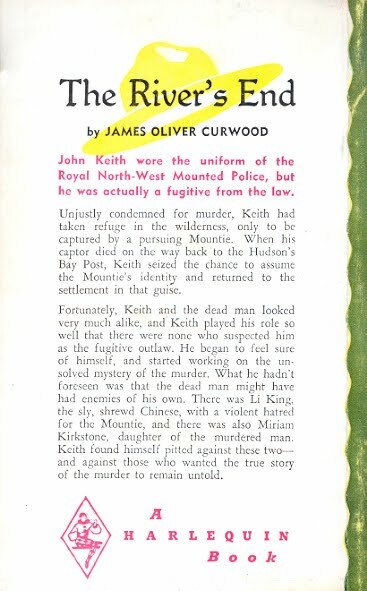 The link provides an entertaining short history of his relationship with publishers and mentions the novels - Cabbagetown and Present Reckoning from Wm. 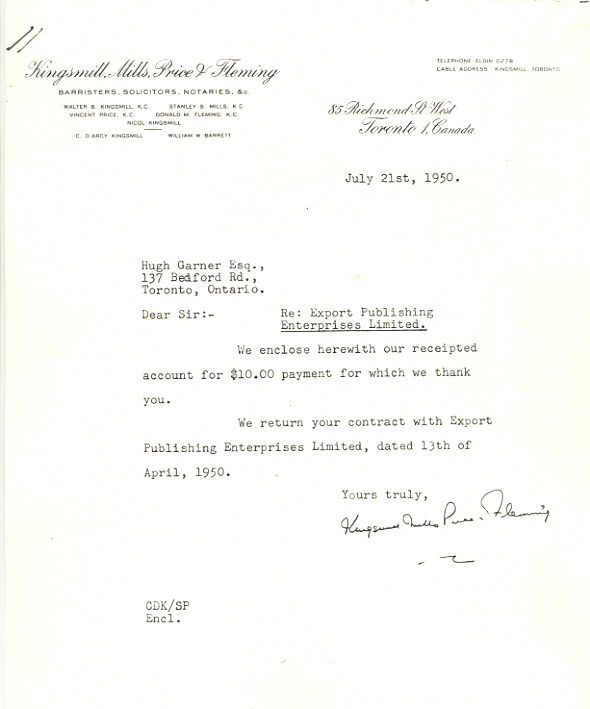 Collins Sons & Co. Canada Ltd. and Waste No Tears from Export Publishing Enterprises Ltd. 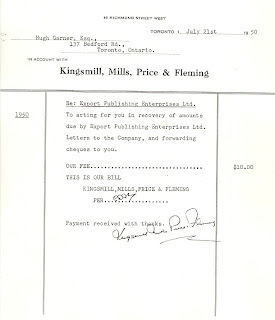 Here are a couple of letters about Export from the Queen's University Garner archives. 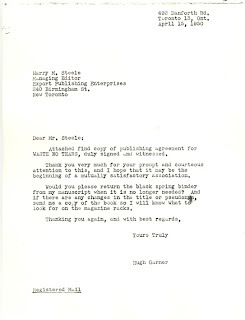 They speak for themselves but I can't help but note that Garner expected that he might not recognize his own book on the newsstand and wanted to know the title and name under which it was published. Hard to imagine an author today being comfortable with anything like that. 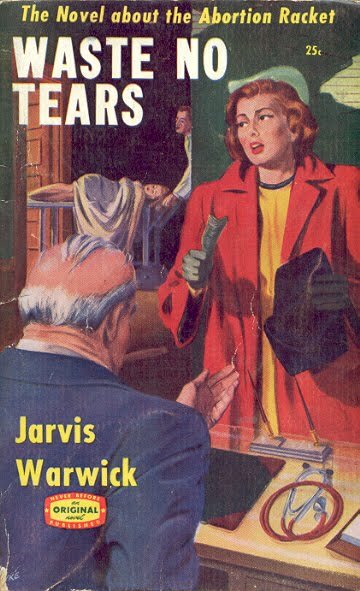 There were two issues of Waste No Tears - one for the Canadian market and one for the American. The only difference between the books is the spine where the Canadian has the number 116 and distribution code MDS and the American has 27A and KD. 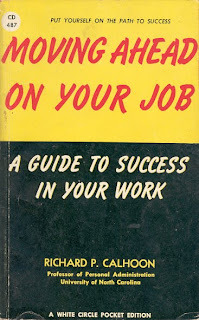 The book is available through book dealers but be prepared to spend some money. A nice copy is selling for $500 from a Toronto dealer. 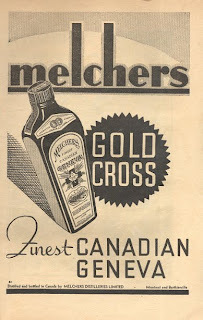 The Canadian issue is much rarer than the American. 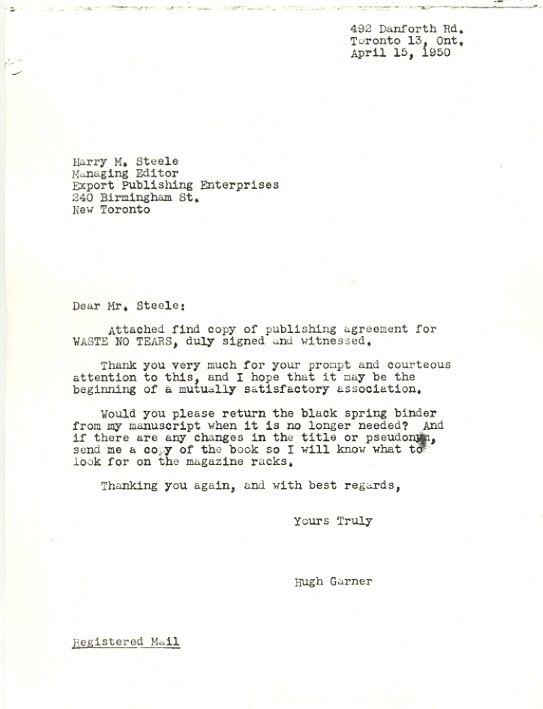 Here are three more of the 186 (of 258) authors that had one book published by Harlequin Books. Two are science fiction authors (of a total of four published by Harlequin) and one romance. 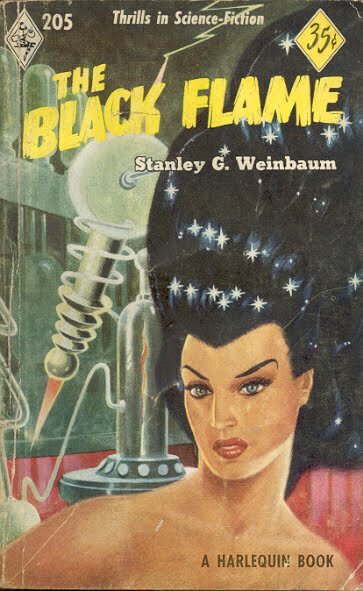 It's a guess, but I imagine the first author is today one of the two or three least read recognizable SF authors. 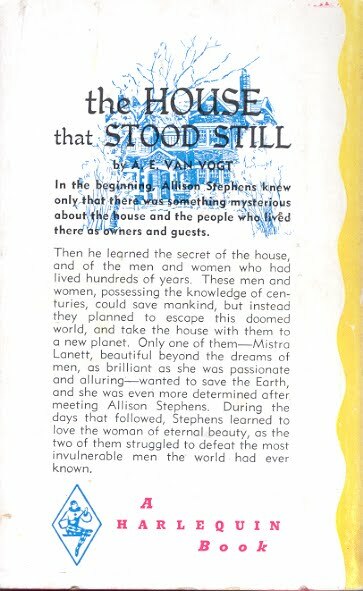 The House That Stood Still by Canadian born A. E. van Vogt (1912 - 2000) was published in 1950 (New York: Greenberg). 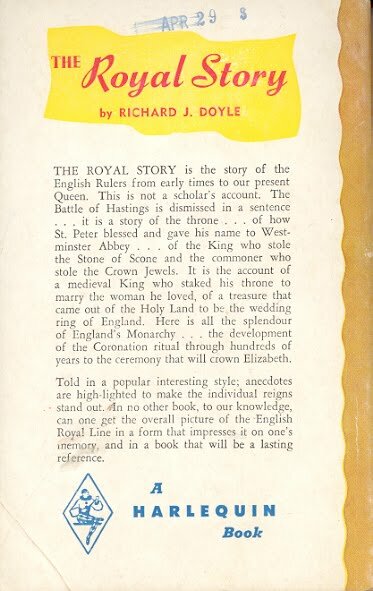 The Harlequin edition has one of their most misleading covers, but at least Harlequin kept the title unlike Galaxy Publishing Corporation with their The Mating Cry in 1960. 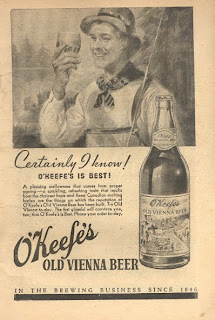 It has even been seen in a pulp - Detective Book Magazine of all places. The second science fiction author is Stanley G. Weinbaum (1902 - 1935) with his The Black Flame (Reading, Penn: Fantasy Press, 1948). 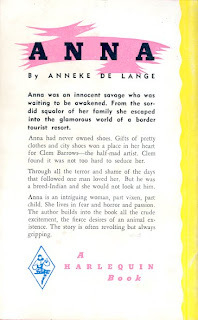 The last author is Anneke de Lange with Anna. 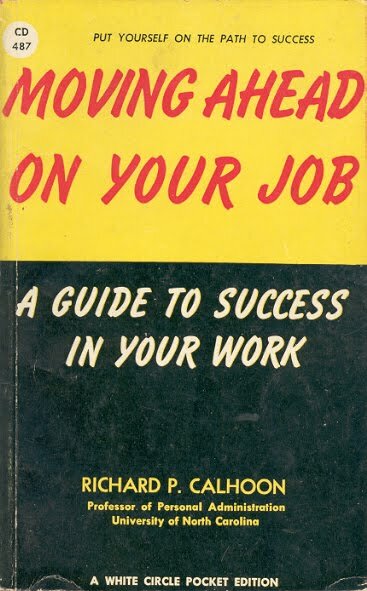 The author's real name was Esther Chase (? - ?) 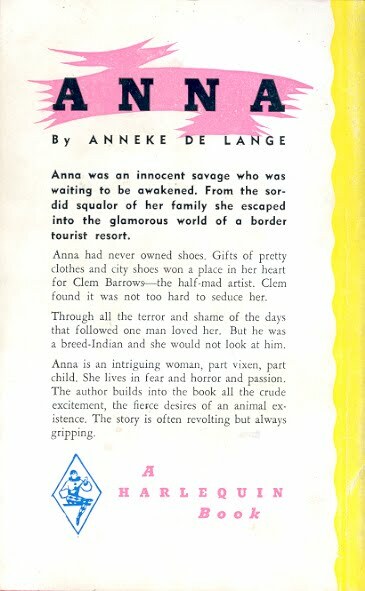 and the book was published as Anna Luhanna (New York: Greenberg, 1946). The Harlequin edition is "January" in the 60th anniversary Harlequin calendar for 2009. 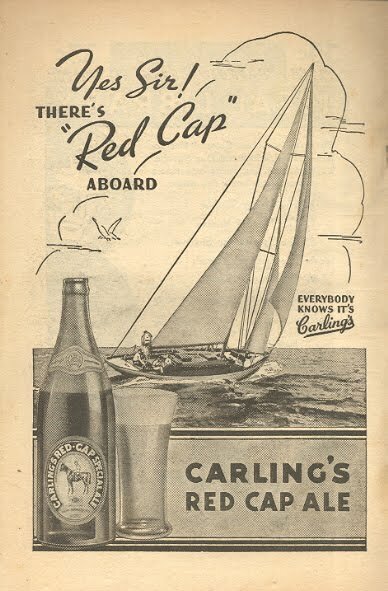 One definition of utility is "the quality of being of practical use". 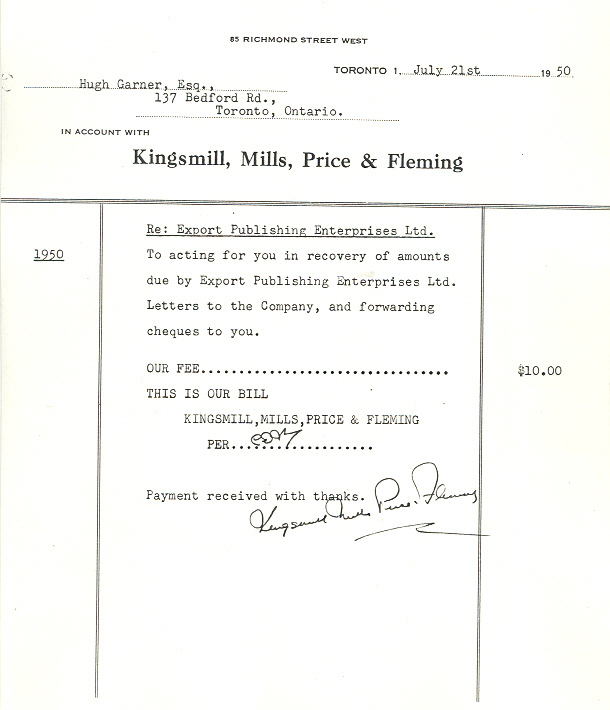 The three large early Canadian paperback publishers did not see much profit in books with utility. 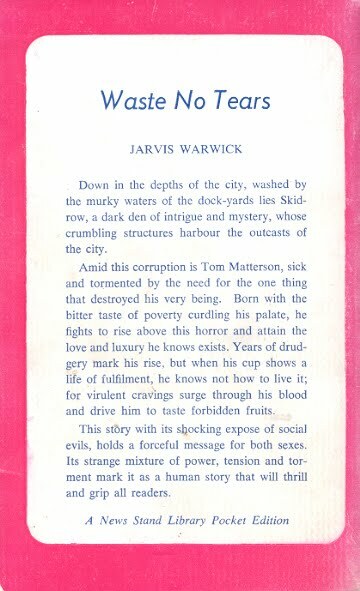 Of the 1083 titles published by Harlequin Books, Wm. 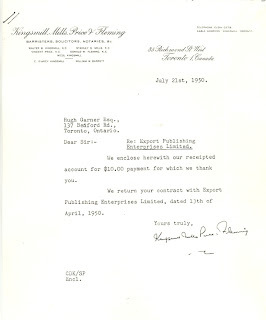 Collins Sons & Co. Canada Ltd and Export Publishing Enterprises Ltd between 1942 and 1959 only 21 had utility: Harlequin with 13 (of 481 titles), Wm. Collins 7 (437) and Export 1 (165). 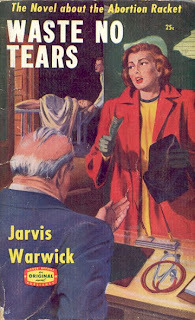 Harlequin published two more in 1960 and 1961. 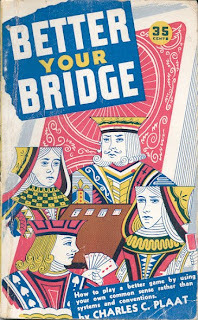 Here we'll look at three examples, one from each of the publishers. Export's lone utility is an odd ball. 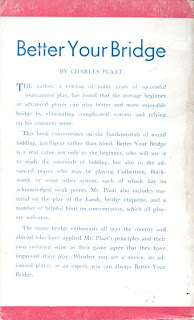 Better Your Bridge by Charles C. Platt (New York: Thomas Y. Crowell, 1946) is printed on better paper than other Exports. 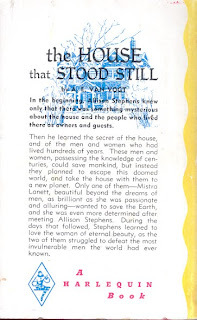 It is 96 pages long, unnumbered and doesn't have a publishing date. 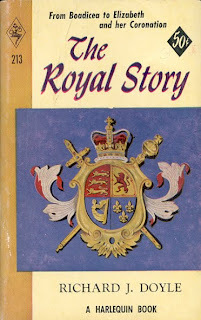 It is typically placed between 18 and 20 in lists of Export's books as there is no number 19. Moving Ahead On Your Job by Richard P. Calhoon (New York: McGraw-Hill, 1946) was one of three Wm. Collins White Circle books of utility. 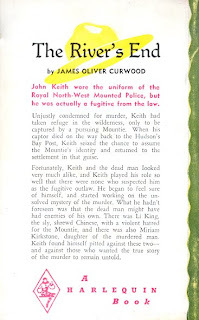 The other four by Collins were published outside of the White Circle imprint. 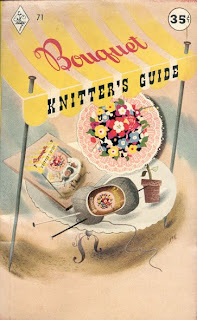 The final book of utility is one of Harlequin's earliest - Bouquet Knitter's Guide. 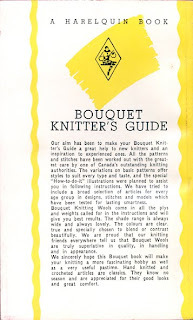 First published in 1949 by Dominion Woollens and Worsteds Limited of Toronto. 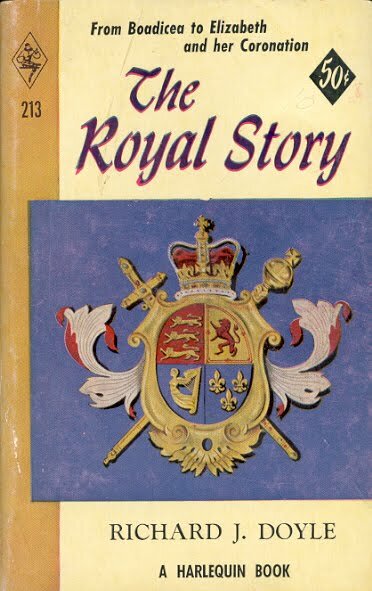 The mid-century Canada that readers of the early Harlequin Books knew is much different from the 2010 Canada but not unrecognizable. 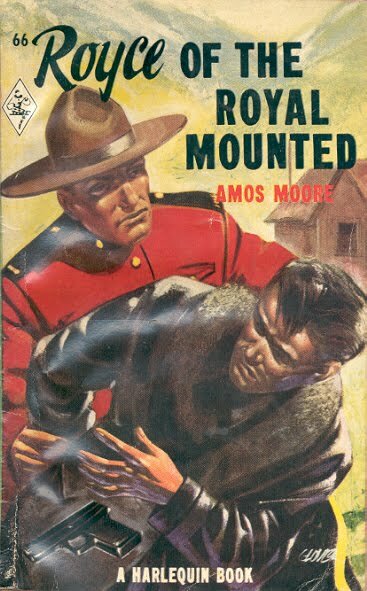 Two institutions that all Canadians in 1950 would have recognized have been in the news recently - the Monarchy and the RCMP. 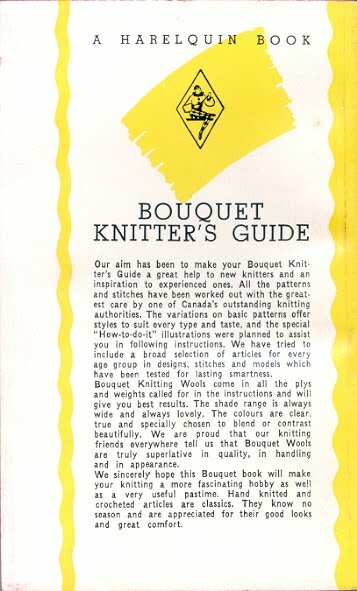 One amazing connection with mid-century Canada is Queen Elizabeth. 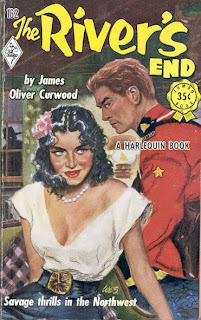 Visiting Canada this week she is also on the covers of an early Harlequin. 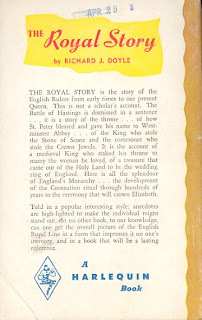 The Royal Story by Richard J. Doyle (1923 - 2003) was first published by McGraw-Hill (Toronto: 1952) with the Harlequin edition following in January 1953. The RCMP was featured in eight Harlequin fiction titles and one non-fiction. Here are a couple. 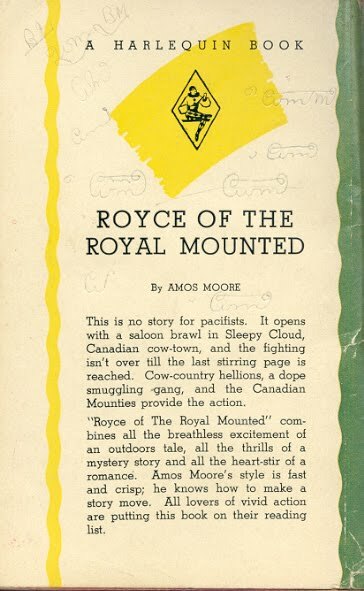 Royce of the Royal Mounted by Amos Moore (1884 - 1958) was first published by The Macaulay Company (New York: 1932). 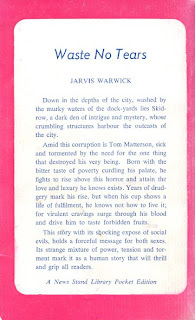 The first edition of James Oliver Curwood's (1878 - 1927) The River's End was published in 1919 by The Cosmopolitan Book Company of New York.